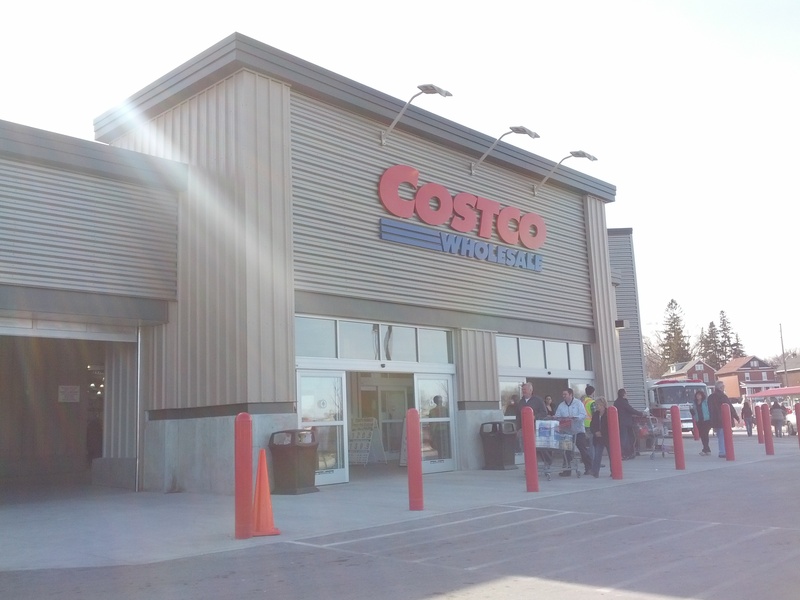 After hearing the news about a Costco approved to be located on the former GM site in Oshawa, Ontario, I was inspired to write something in order to look at it from a professional and factual point of view. I started off writing about my disagreement with this approval, and what could be done with the site instead. The more I wrote, the more I learned, and the more I added. And I continued writing until now – many months after full build-out. I followed the story closely and I found the whole process very interesting. 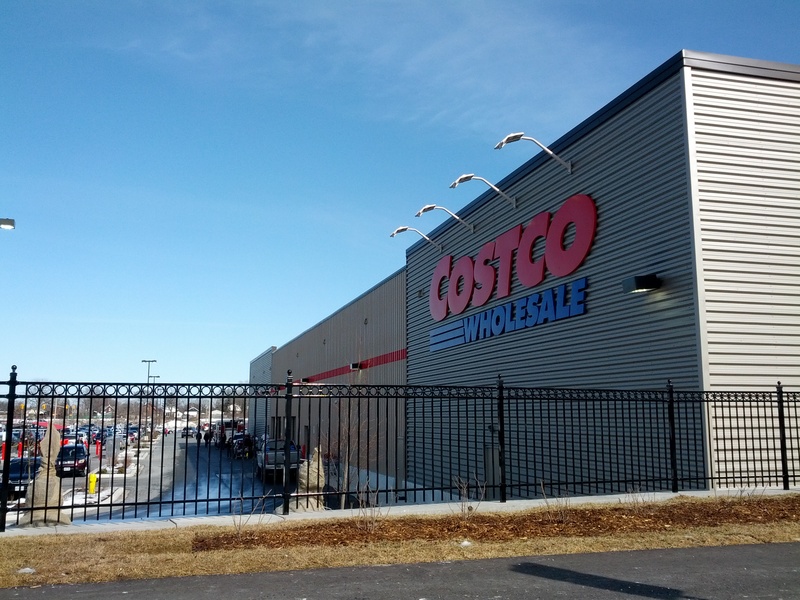 Since I spent a lot of time researching big box stores to understand the positive impacts of this development to reduce my innate bias as an urban planner, I will begin by summarizing my findings regarding big box development, and then use Costco as my case-study. What is a big box store? In a nutshell, it is pretty self-explanatory – it’s big, and usually box-shaped. But what does that mean? Why does that matter? Why is that ‘bad’? Big box development usually attracts and surrounds itself with other big box development. 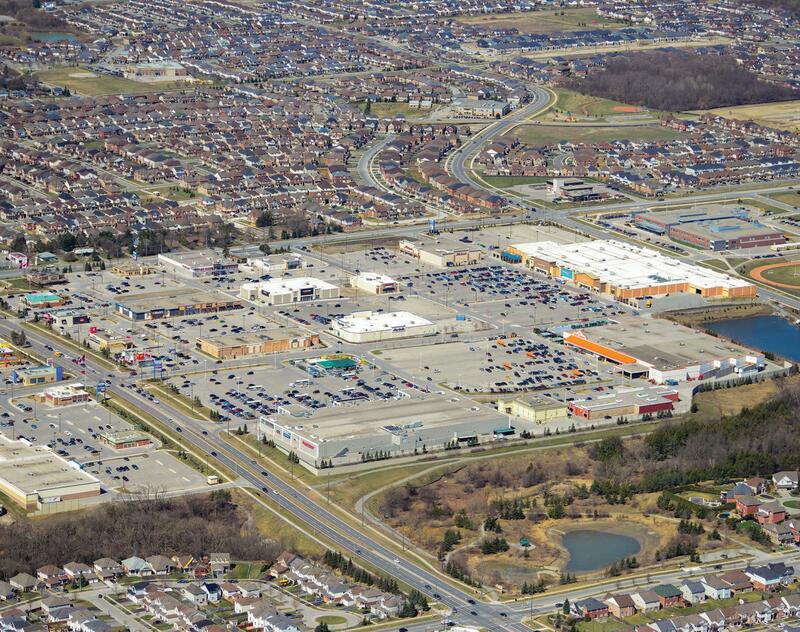 A great example of big box development is Canada’s largest developer and operator of unenclosed shopping centres – Smart Centres. Why ‘smart’? 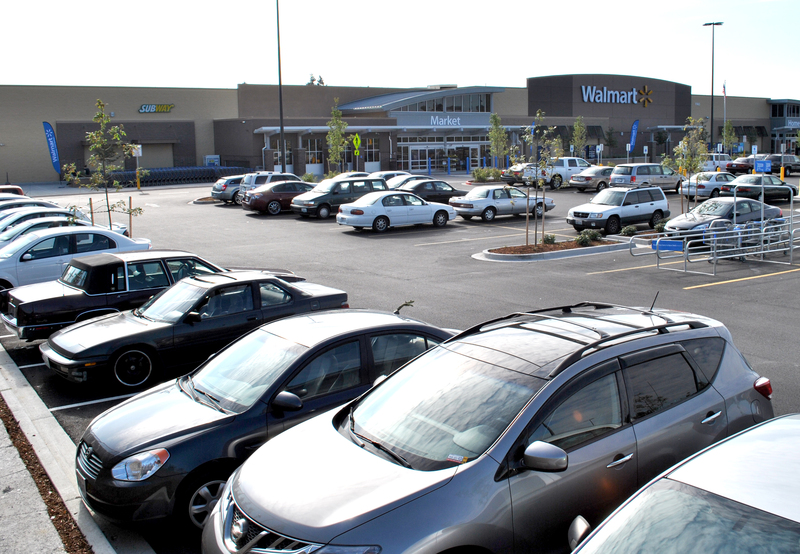 They are a full service developer and operator that focuses on bringing together big names such as Walmart and Home Depot to one location in order to provide convenience serviced by ample user (driver) friendly parking. There is no denying the convenience of this type of shopping. Everything you could possibly need, all in one spot. All you have to do is get in your car, find a parking spot as close to the door as possible, and hope you don’t get hit by another driver diving in for the next closest spot while you cross the clearly marked pedestrian crossing towards the entrance of the store. Ok, ok I admit – I am clearly hinting at something here. 3 words: Car oriented environment. 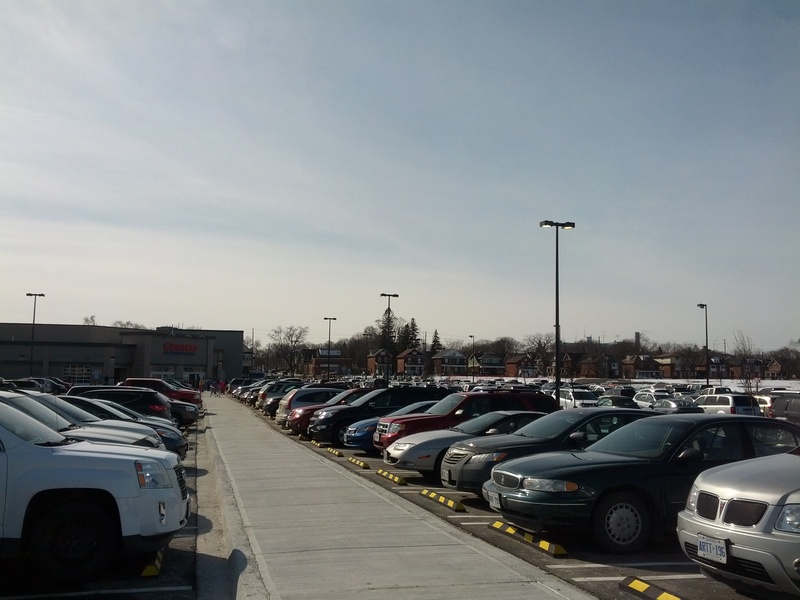 As a well known fact, big box store development does not aim to foster a pedestrian oriented environment. This means big box stores target the driving demographic. If you are a pedestrian on your way to Best Buy good for you, but you are a minority. 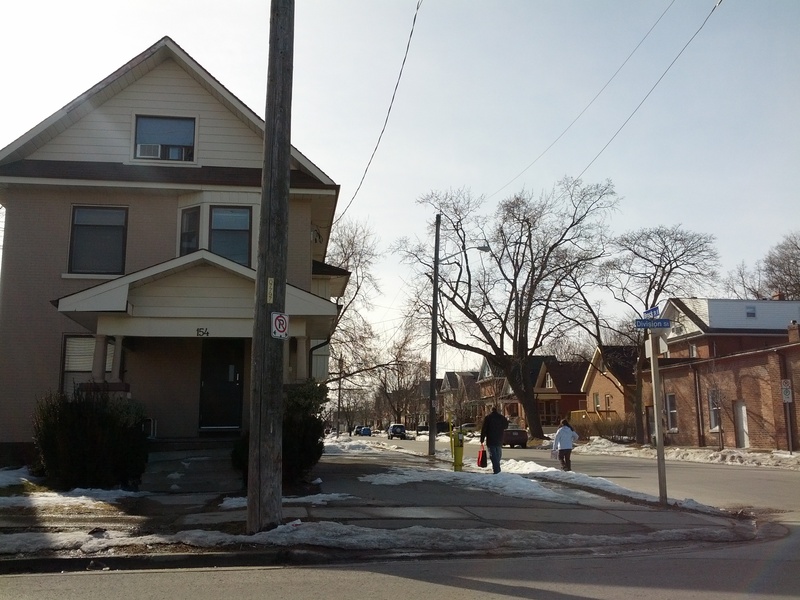 Even if they live on the other side of the street, most people feel uncomfortable walking to these places, and that is because they are not designed for walking, biking, and usually transit. They provide large parking lots for drivers, and they provide everything you need because they know you can put it in your car to bring home. 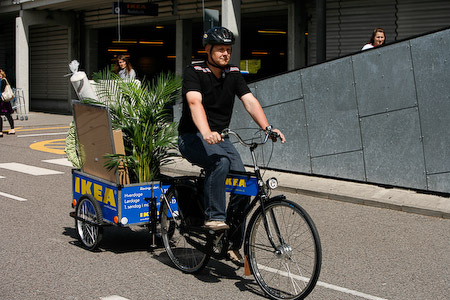 I know what you’re thinking – why does multimodal mobility matter? I’m not trying to advocate walking to Walmart. If I go to Walmart, I drive. Period. But what if Walmart was brought down to a pedestrian scale? Would you walk then? At least sometimes? Do you dare to be this guy? I realized that big box stores are constantly characterized by remote locations, impermeable exterior design, and vast parking lots. What would it take to bring them closer? A new design perhaps? Increased multimodal connectivity would reduce the need for 3/4 parking lot space, and stores could face the sidewalk. Same product, same convenience, but more human-friendly. Right? This is where Oshawa comes in. Oshawa was given a golden opportunity on a silver platter. The GM plant was demolished, and a very large brownfield opened up in the Downtown Shoulder Area (DSA). 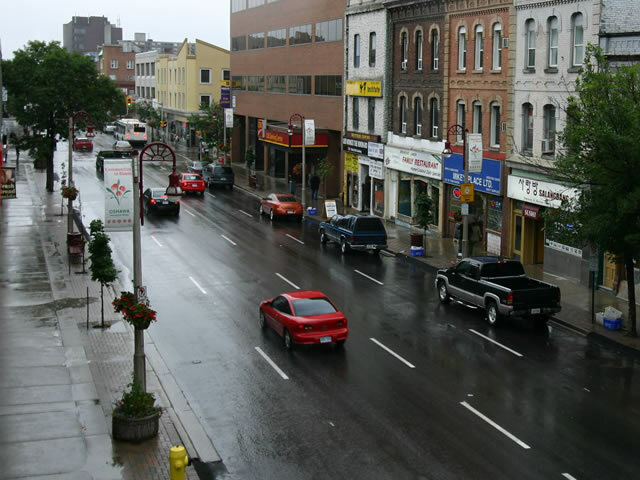 If anyone knows anything about Oshawa, they would know that it is often plagued with snarky nicknames like ‘the dirty shwa’ or ‘the shwa’, which is usually said with a demeaning or embarrassed tone. The thing is, not all of Oshawa is ‘the shwa’. ‘The shwa’ is really a name for parts of it, including downtown. Downtown Oshawa doesn’t have a great reputation – many would characterize it as dirty, sketchy, and uninviting, which is unfortunate because a lot of the City’s heritage originates from those very blocks (many murals, statues, plaques and public spaces are dedicated to commemorate its history) and because the City has been making efforts such as with the GM Centre and City Hall renovations, and integrating UOIT campus extensions into the downtown fabric. 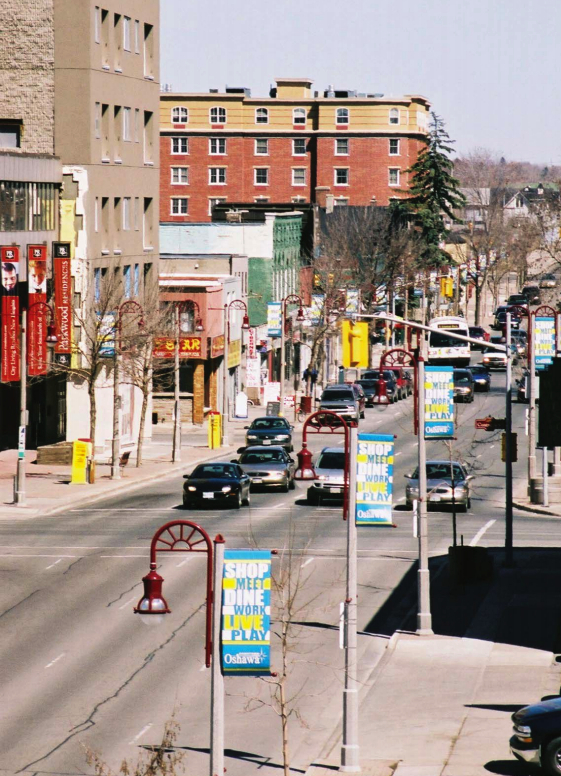 It seemed so much easier to grow out than adapt inward, and that is exactly what Oshawa did, making it the fastest growing City in Canada for a few years in the early 2000s. 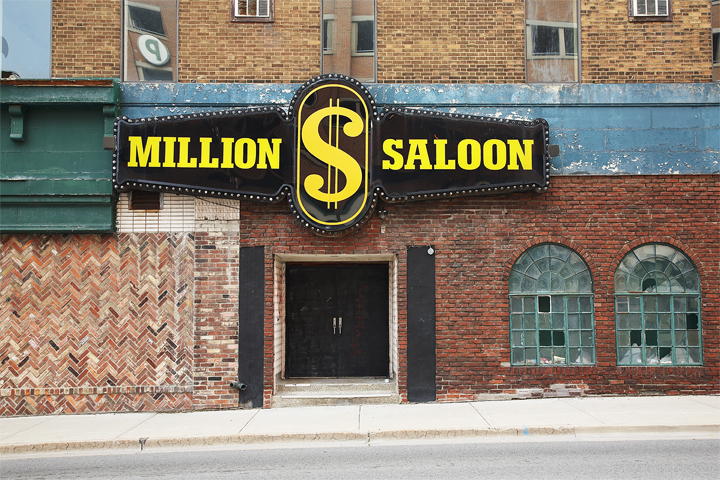 This type of sprawling growth neglected its downtown, and before we knew it people were dealing drugs on the corner of Coffee Time (people called it ‘crack time’ – probably why it eventually moved out), and there was not much left to do there to attract people from all age groups. The GM centre was and is a big success, but that place attracts people for small periods at a time (events). Durham College and UOIT are trying to integrate their campus into the downtown, but it is very hidden and has not made a large impact. 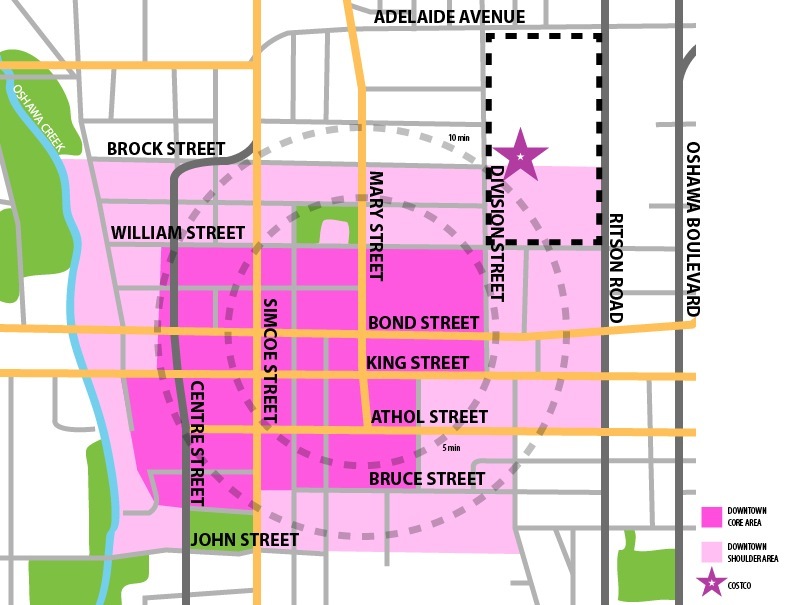 The point is, when people want to go out and do something in Oshawa, they are more than likely not going downtown. So the gigantic space that the former GM plant opened up for the City right on the DSA really gave Oshawa an amazing opportunity to create a place that would act as a catalyst for image improvement, appearance improvement, business improvement, activity improvement, and to give people a reason to come back to the core, the true heart of the City. This opportunity was quickly scooped up by a membership warehouse club that provides everything you could possibly need for the cheapest price and at the best value – Costco. David Tuley, Oshawa’s Downtown Development Officer explained to me that – from his perspective, the Costco site is on the fringe of downtown and will therefore have no negative impact on existing retail, and will also act as an ‘attraction’ by bringing more people into the core as opposed to pushing them out further. “In my personal opinion, box stores are a plague upon the earth, but until we have a new retail paradigm, this is our reality,” he wrote. ENVIRONMENT: Saves periphery lands from sprawling further (it’s a great thing to develop within the urban boundary instead of using up more untouched land in the suburbs). 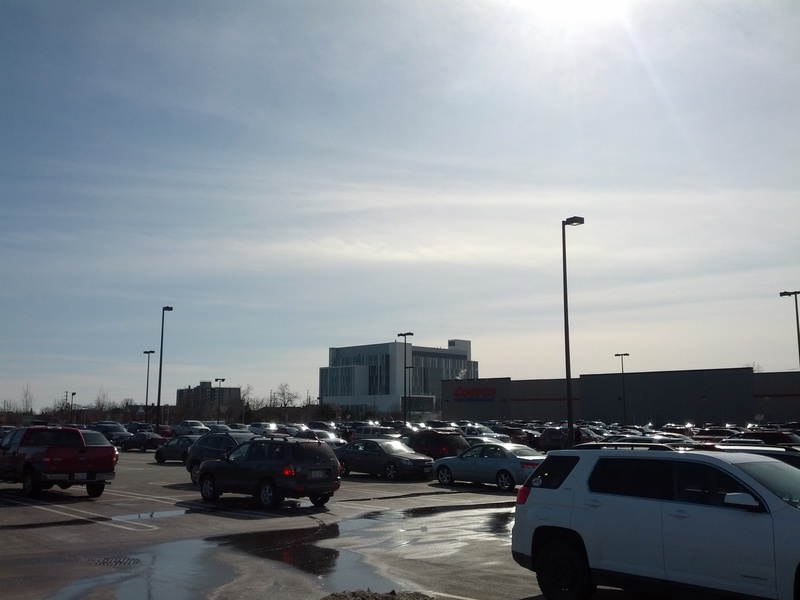 Nearby communities will travel shorter distances to access the store, reducing their carbon footprint (statistics show that enough Costco, Ajax shoppers are coming from the Oshawa area). BROWNFIELD REMEDIATION: This business can afford remediating the previously industrial land. DOWNTOWN EXPOSURE RIPPLE: Increased customer traffic in the Downtown Shoulder Area (DSA) might bring surrounding businesses increased revenue (many people travelling to the subject site might be influenced to spend more time in the DSA or Core Area [DCA] if they are exposed to discover places they fancy). CONVENIENCE: Product is all about quality AND quantity for attractive prices. INVASIVE: The nature of this development does not suit the character of the DSA or DCA in any way, shape or form (following in the courthouse’s steps), forcing the Downtown Area (DA) to stoop further away from any chance of regaining a sense of place. UNFRIENDLY: The nature of this development will strip the DSA of its identity, forcing it to adapt into a car-oriented environment. EYE-SORE: Two-thirds of the site will comprise of parking, and one-third will comprise of the store itself, which is going to be +/- 146, 560 SF (almost the size of 3 football fields) of two-storey high light-beige stucco and cladding shaped into a big box with 1 huge entrance (to swallow and spit out the entire population of Durham and their fridge-sized carts). DETERS MULTIMODAL CONNECTIVITY: Not only is the general appeal of the building offensive to pedestrians, cyclists, and transit riders, but its design is too – its entrance faces away from the street and directly into the chaos of the heart of the parking lot. Its backside ironically faces the DCA. UNFAIR: Just like Wal-Mart tends to ruin businesses and communities, Costco has a pretty good chance of doing the exact same thing, and may even do a better job at it – the store offers unbeatable prices, selection and quality. 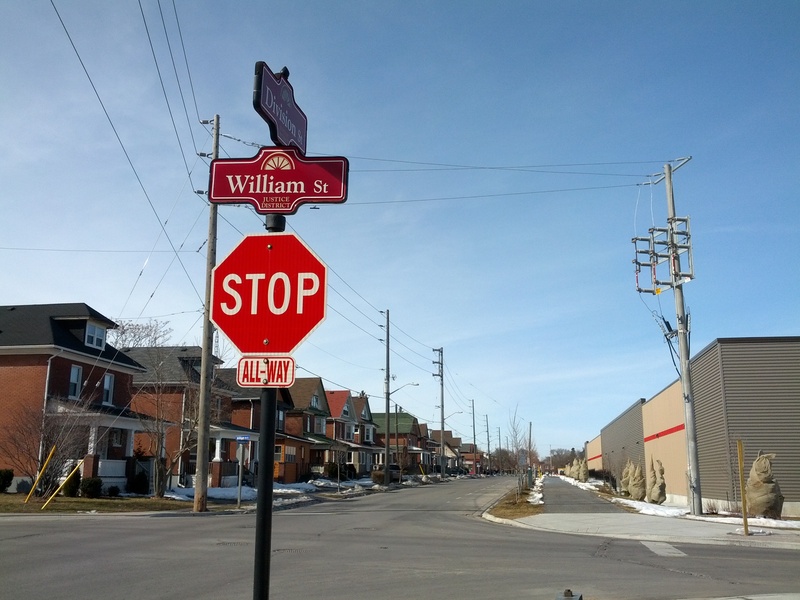 PLAYS BY ITS OWN RULES: This development completely and utterly contradicts the City’s Downtown Action Plan, and the City is therefore taking many Costco-sized steps away from potentially achieving any of it. 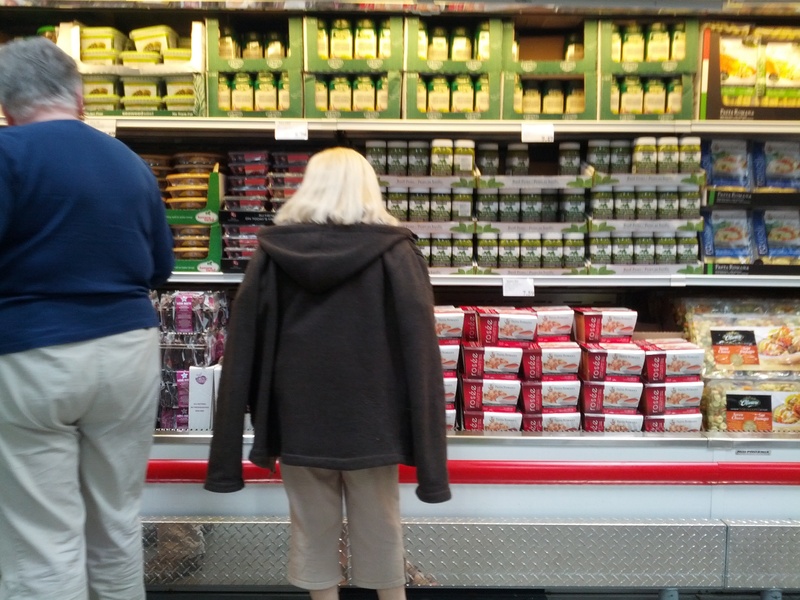 As everyone knows, Costcos generally all look the same, and it’s because familiarity helps from a business perspective, at the expense of adapting to their surroundings. EXCLUDER: Costco only sells to members who pay a yearly fee to shop there, and it’s only worth it if the member shops there all the time. This excludes many people from wanting to shop there on occasion or who can’t afford the membership, dividing the social fabric of communities across its target zones. At the end of the day, most people would agree that Costco is extremely convenient, and that having easy access to one is a great idea. 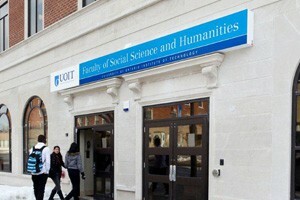 However, it is unfortunate that this greed outweighs the importance of place. If Costco could consider adapting different store designs for different types of environments (anything from suburban outskirts to downtown cores) that originate from a base design in order to have a more appropriate design out of respect for its surroundings and the City that houses it, then maybe the Costco in Oshawa could have more of a positive impact. As it is now, it’s simply not working.